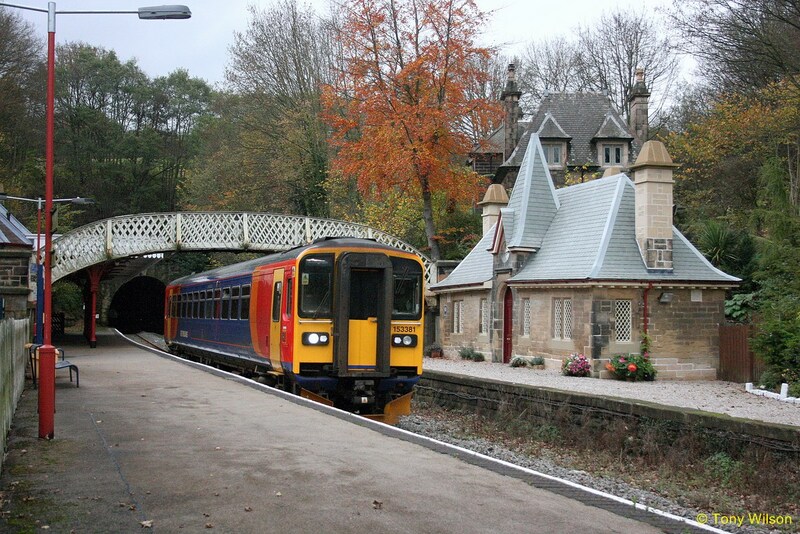 While most railway stations in England are places to scurry through on the way to get somewhere else, there are some which are worth lingering a little longer at. 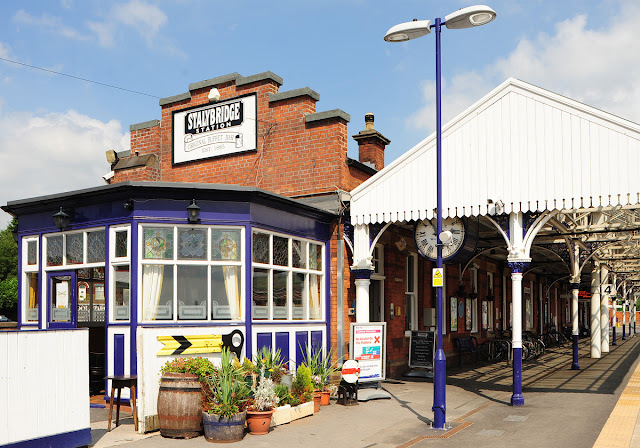 BBC News recently suggested some everyday stops that offer commuters a little more than hurrying hordes and characterless coffee shops. Here are some more, this time recommended by readers. Huddersfield railway station has much to recommend it. It is located upon an attractive pedestrianised square complete with a statue of Harold Wilson, has two pubs within its facade and architecturally impressive - the frontage was once described by poet John Betjeman as "the most splendid in England". Perhaps best of all, it has its own cat, called Felix, who was understandably annoyed about being left out of the original list. Felix, who has the official title of Senior Pest Controller and her own hi-visibility jacket, keeps the station free from rodents, using her personal cat-flap to bypass the ticket barriers. She's also happy to allow friendly travellers to give her a stroke. There's even a range of charity merchandise featuring her image, including a calendar and a colouring book. Stalybridge railway station in Greater Manchester offers the traveller the chance to step back in time and relax in the Victorian buffet bar at the end of platform four. It opened in 1885 and still has the original marble-topped bar and fittings. It's no longer frowned upon for ladies and gentlemen to mix while waiting for a train and the females' first class waiting room has been integrated into the premises. Therefore men and women alike can admire its ornate ceiling while downing a pint or two - it is after all on the Transpennine Ale Trail - before embarking on the onward journey. 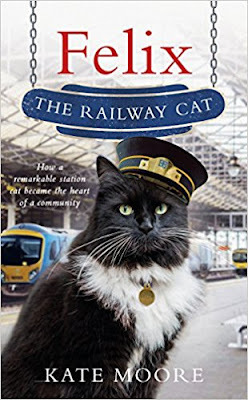 The development of Britain's railways also shaped the world of fiction with the publication of special cheap editions of books to read on the train, so it's appropriate to feature a bookshop on a platform. Situated between the hills and the sea, Grange-over-Sands in Cumbria was transformed in Victorian and Edwardian times into a fashionable seaside resort. The railway station - with its sandstone dressings and Westmorland slate roof - is Grade II listed. The platforms are shielded by glass canopies on ironwork columns and ornamental brackets, all painted in white, green and red. 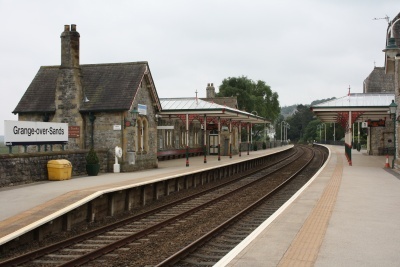 The station booking office is on the "up" (Lancaster) platform, while the "down" (Barrow) platform is where you can find Over-Sands second-hand bookshop, which specialises in British topography, Cumbria, and appropriately, railways. 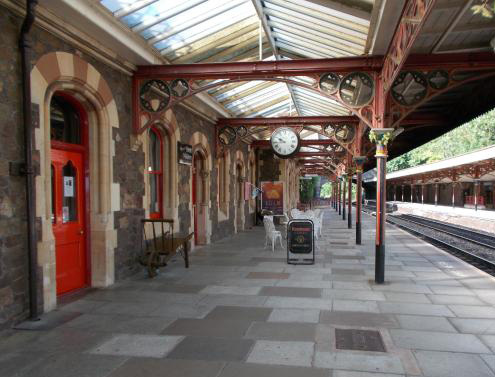 The station at Great Malvern, Worcestershire, retains an aura of wealth and sophistication. Its tea shop was once the exclusive waiting room of Lady Emily Foley, a key sponsor of the building. But she was not the only person to have a special hideaway at the station. A newspaper article from 1862 describes how first class passengers would reach the Imperial Hotel: "On alighting from the railway carriage at the station the intending visitor will be directed to a covered way leading from the platform to the hotel. Unpleasant exposure to wind, rain, or other inclemency of weather will thus be prevented." Although the hotel is no longer - the building was taken over by a private girls' school - the Grade II listed tunnel remains. Known as the Worm, it is usually closed to the public, but the entrance can be seen and there is a campaign to have the passage renovated and permanently reopened. It's also worth having a look at the cast-iron girders holding up the canopies which are decorated with mouldings of leaves and flowers. 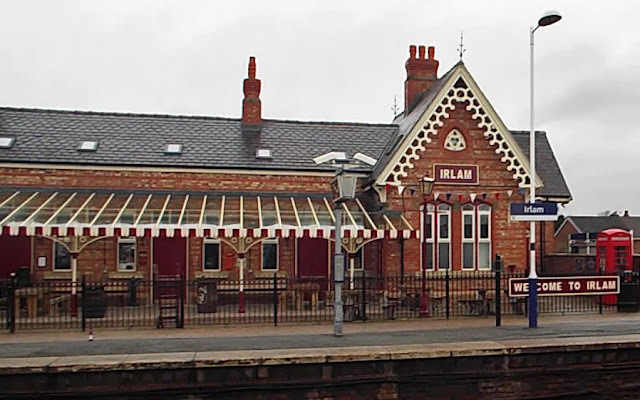 Irlam is the busiest unmanned station in Greater Manchester and its station house was reopened in 2015 after a £2m makeover, restoring it to its former glory after being left derelict for nearly 25 years. The renovation recreated how it looked when it was first built, including paintwork in the original London, Midland and Scottish Railways colour scheme. Inside, there are artefacts and displays from the station's 124-year history, and seating areas in the style of a train carriage from the 1920s. The platform features a life-sized metal sculpture of a flat-capped commuter sitting on a bench, ripe for a selfie, and artwork including a painting of a train full of local people who've become famous. They include singer Russell Watson and the brilliantly-named Max Shacklady, a boxer known as the "Eccles steamroller", who competed in the 1948 Olympics. People wishing to linger at Cromford railway station in Derbyshire can do so overnight, as the waiting room is now a holiday cottage. The stone building, with the original pitched roof, is situated on the now disused southbound platform. It was used by Oasis on the cover for their 1995 single Some Might Say. Lyrics include, "Cos I've been standing at the station/In need of education in the rain", so take on board the advice from the Gallagher brothers and remember your deckchair, book and umbrella.